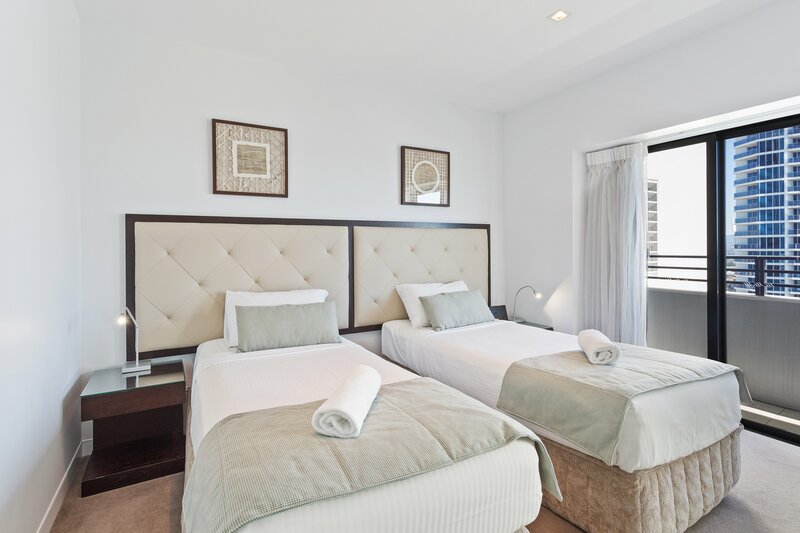 Holiday Holiday offers beautiful three bedroom apartments at The Soul Resort. 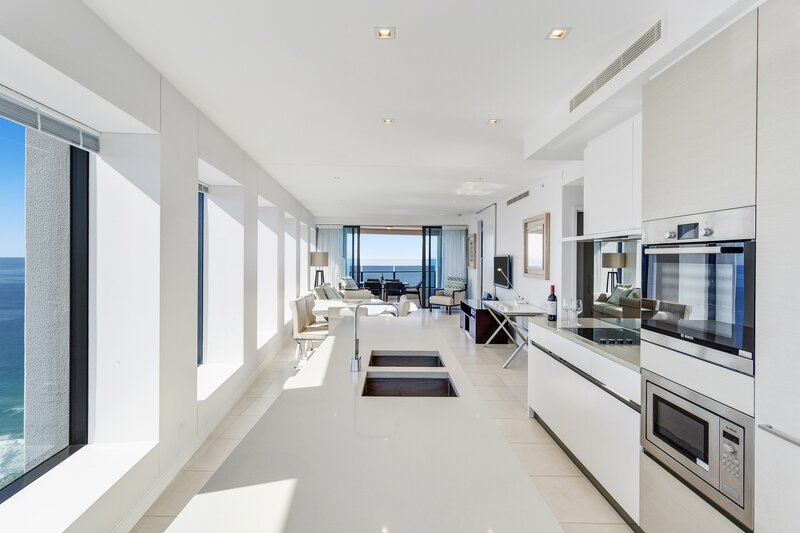 Uninterrupted ocean views are featured with floor to ceiling glass and magnificent balconies. 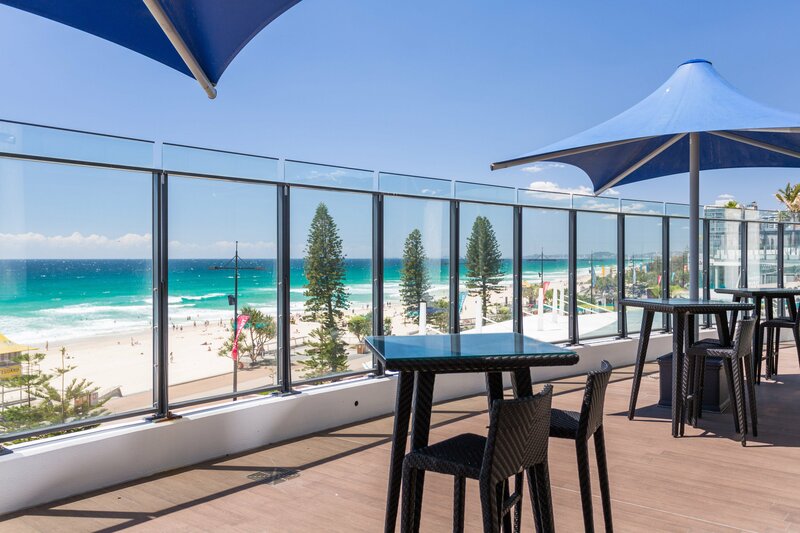 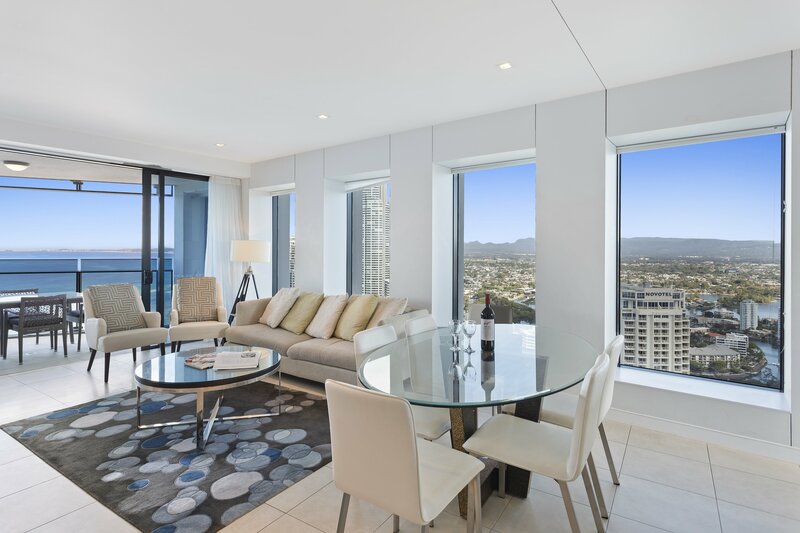 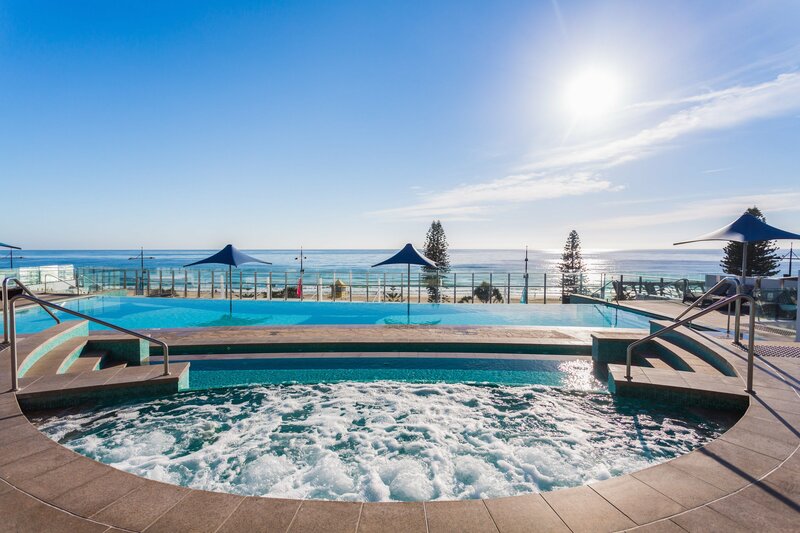 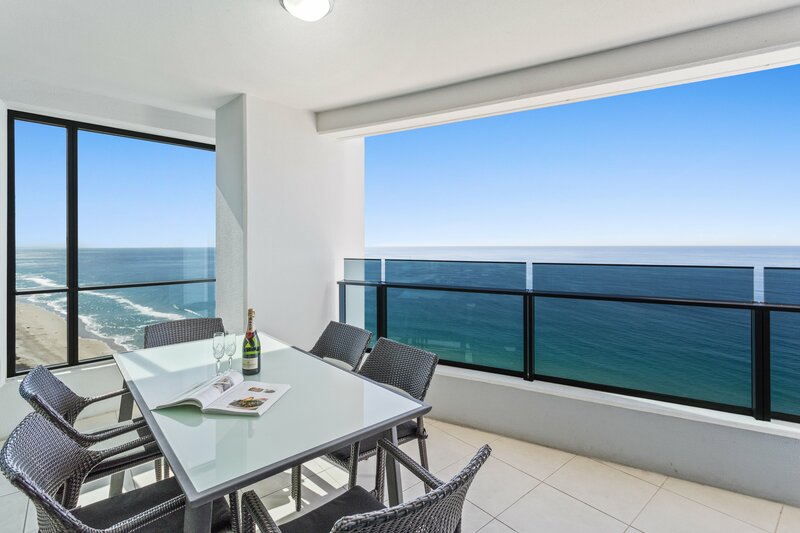 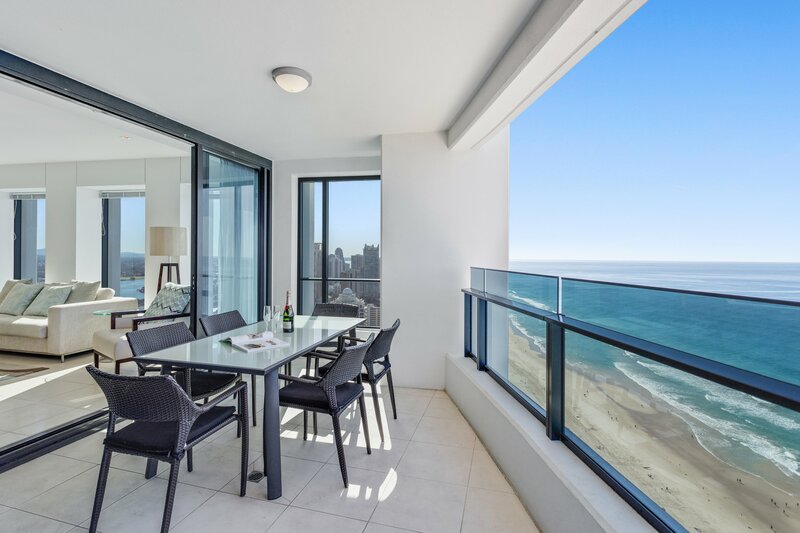 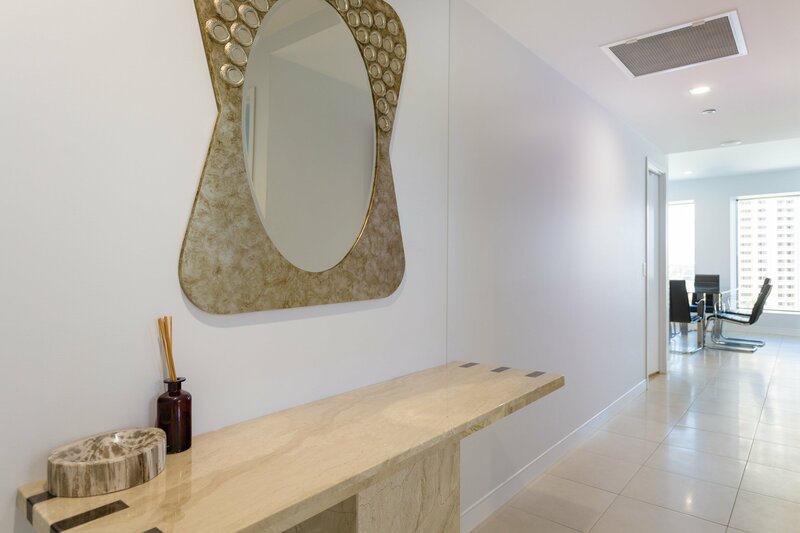 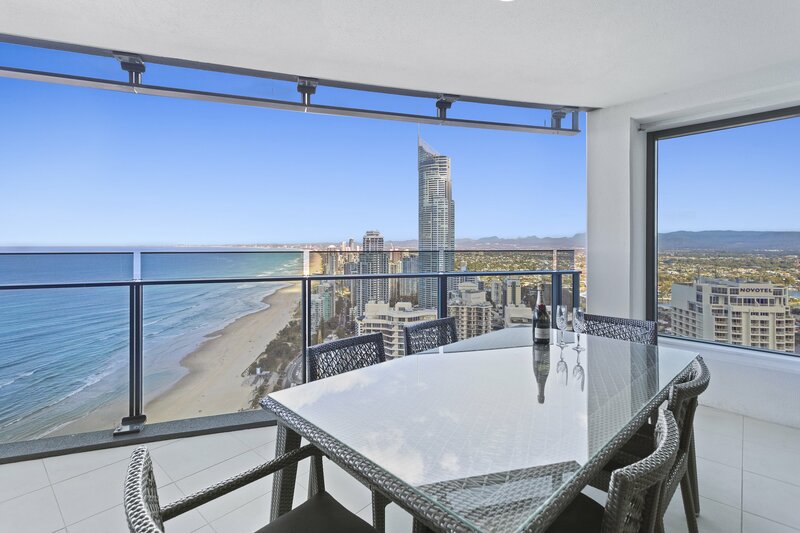 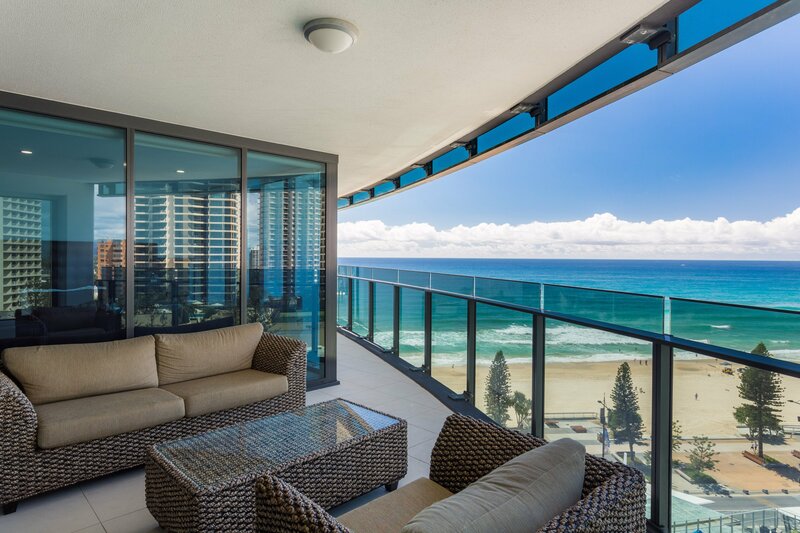 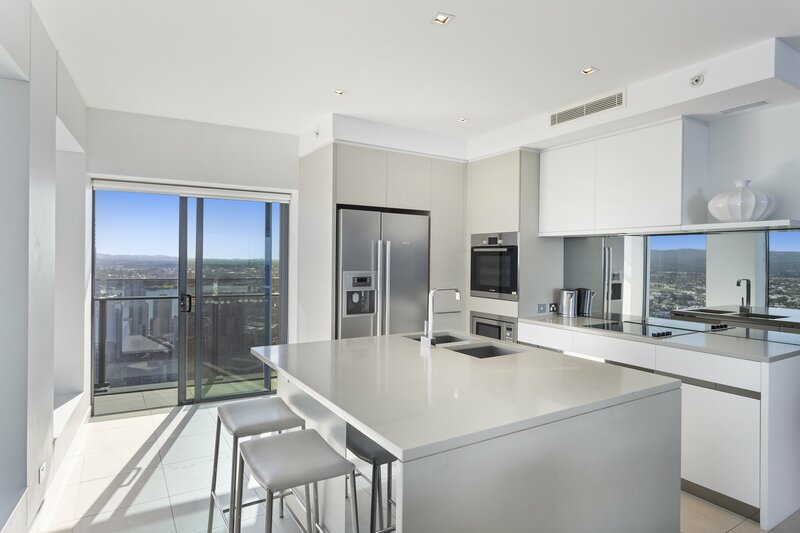 Possibly the best feature of the Soul apartments, is the luxury kitchens where you can prepare a delicious meal whilst taking in the beauty of The Gold Coast. 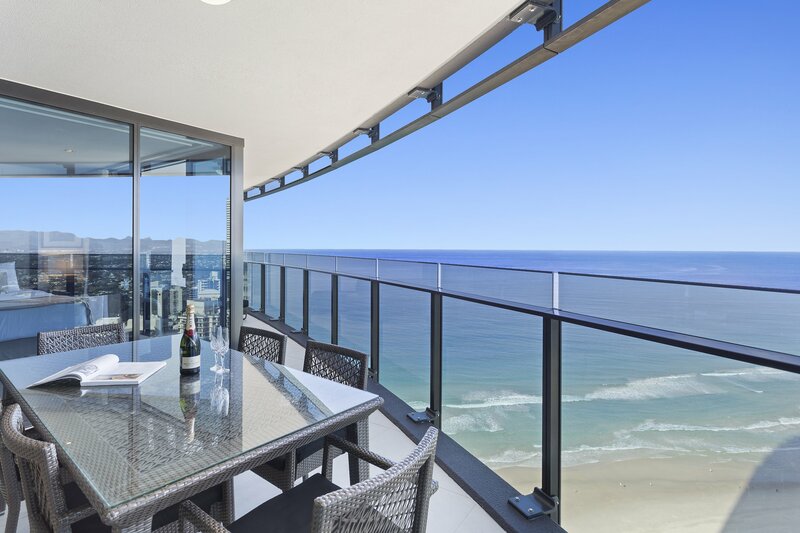 Our recommendation have an early dinner together whilst watching the sunset a truly special memory you will have for life. 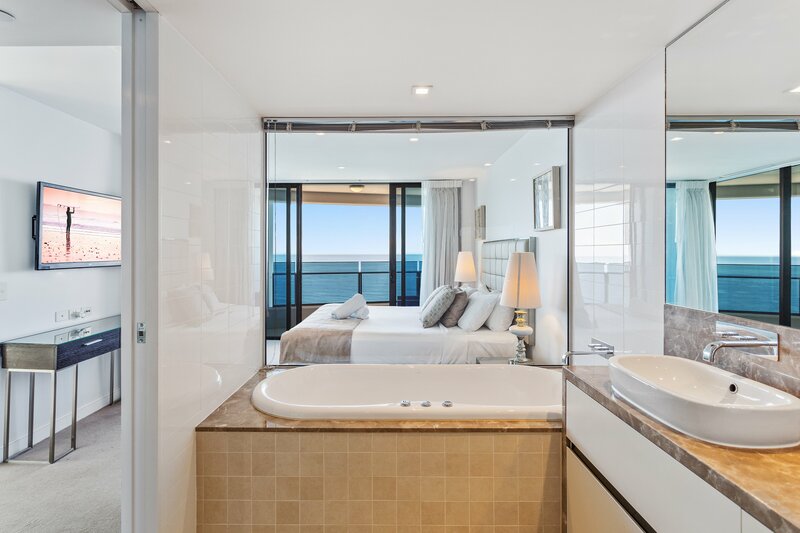 A touch of romance is featured in the ensuite bathroom, a large spa bath with magnificent ocean views is the perfect way to relax after a long day. 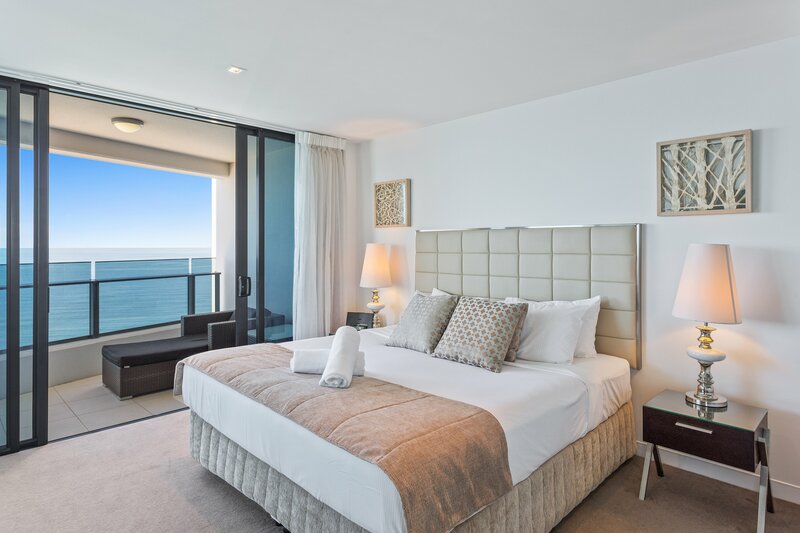 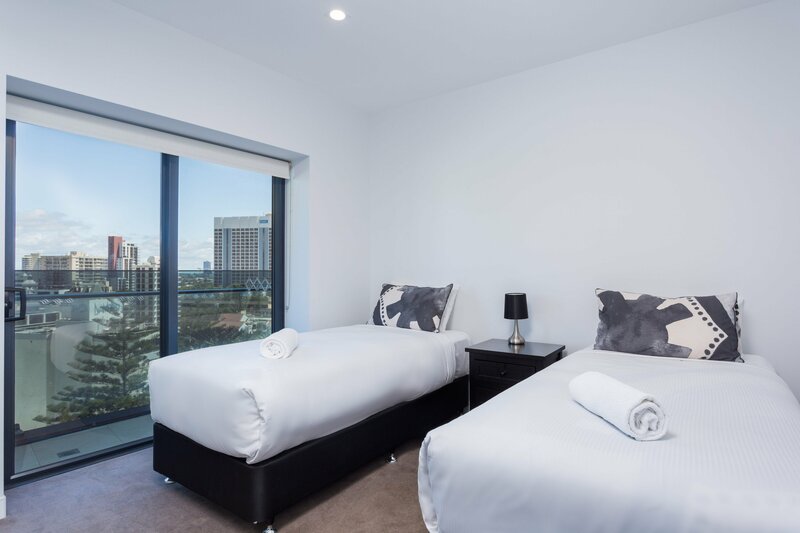 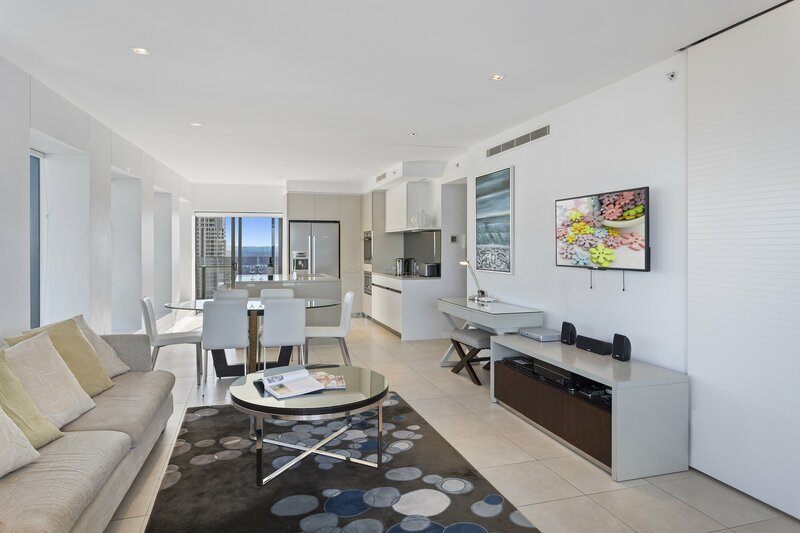 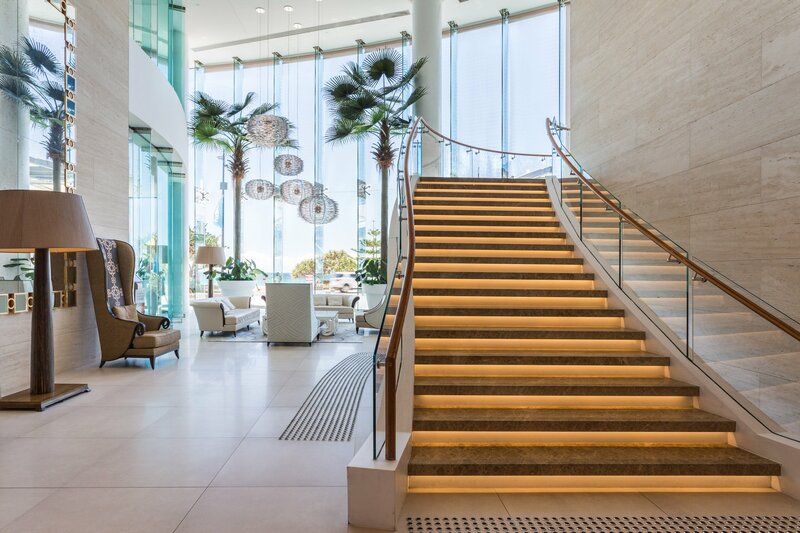 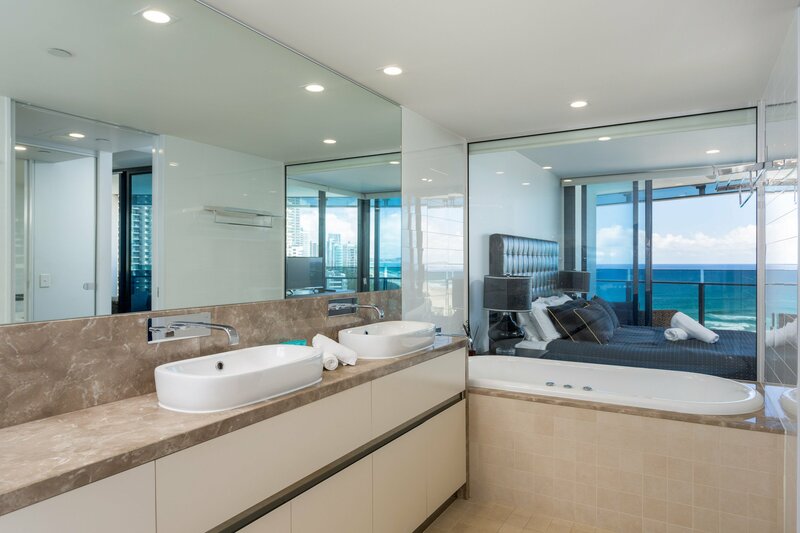 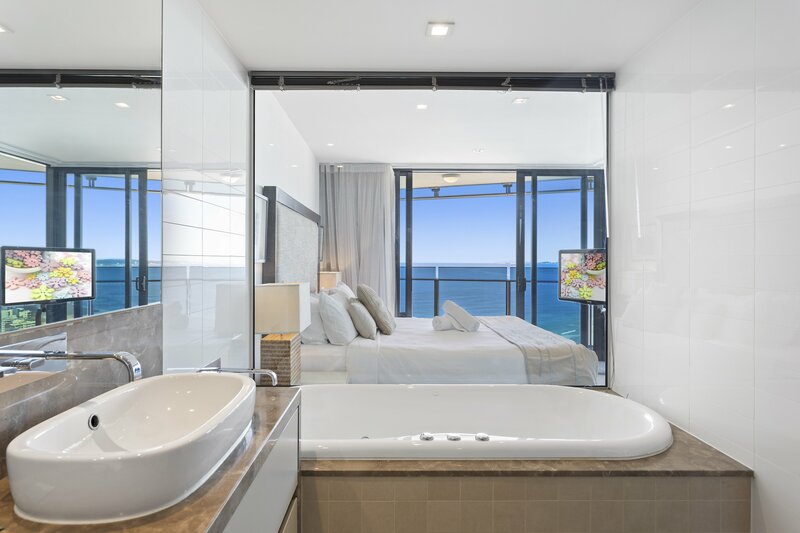 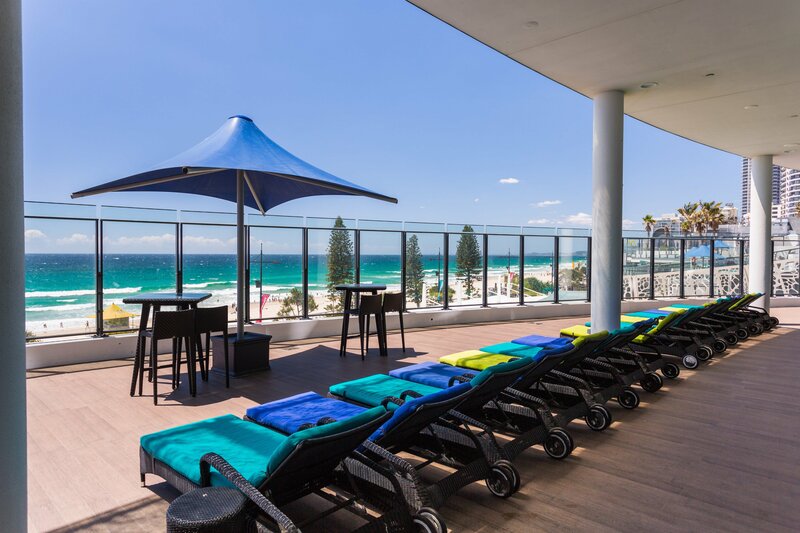 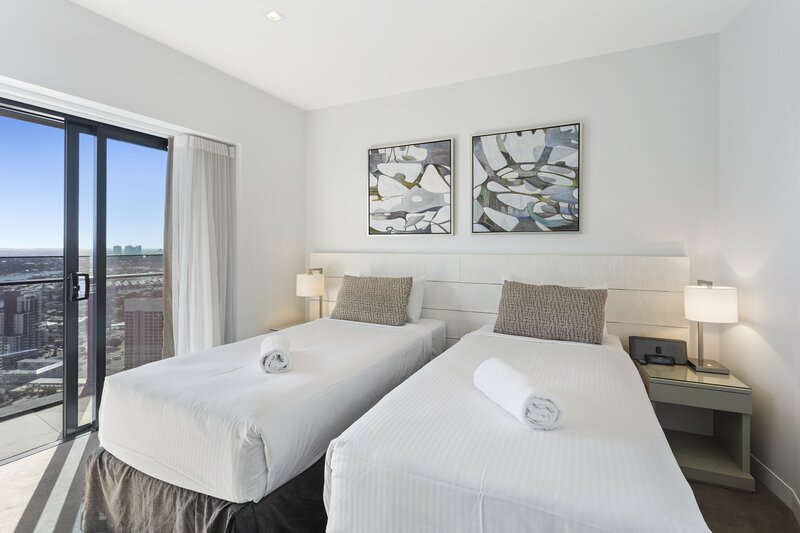 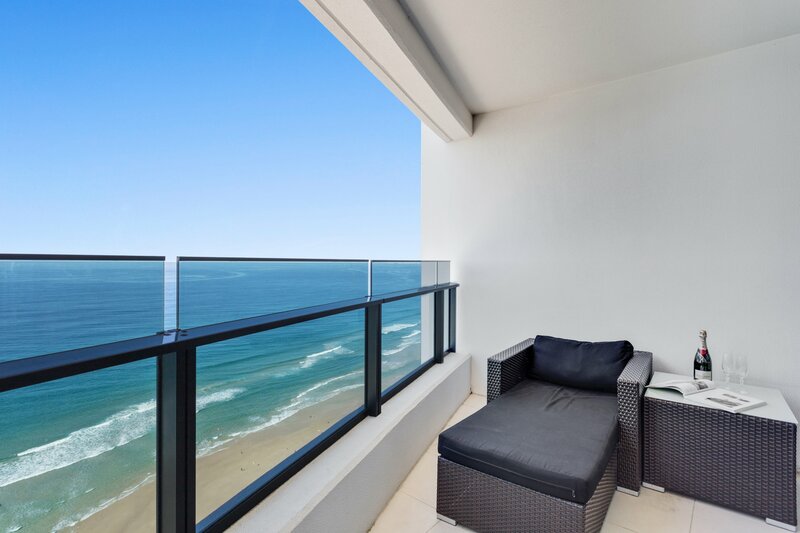 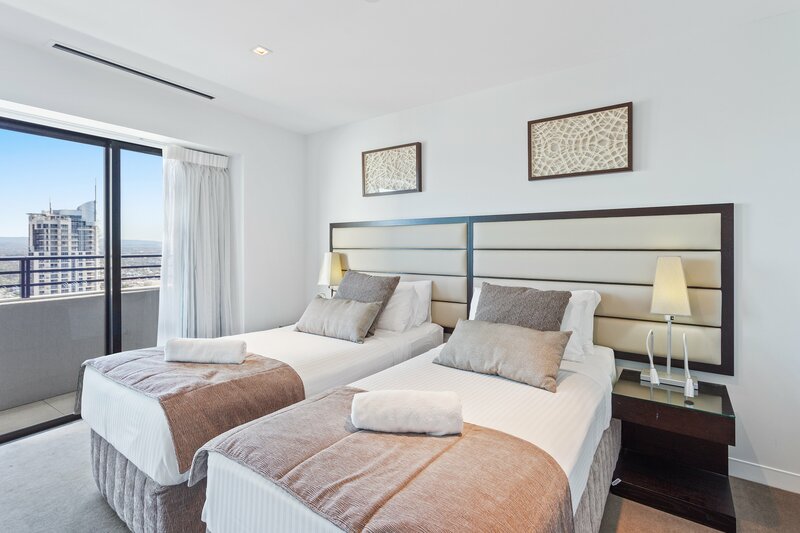 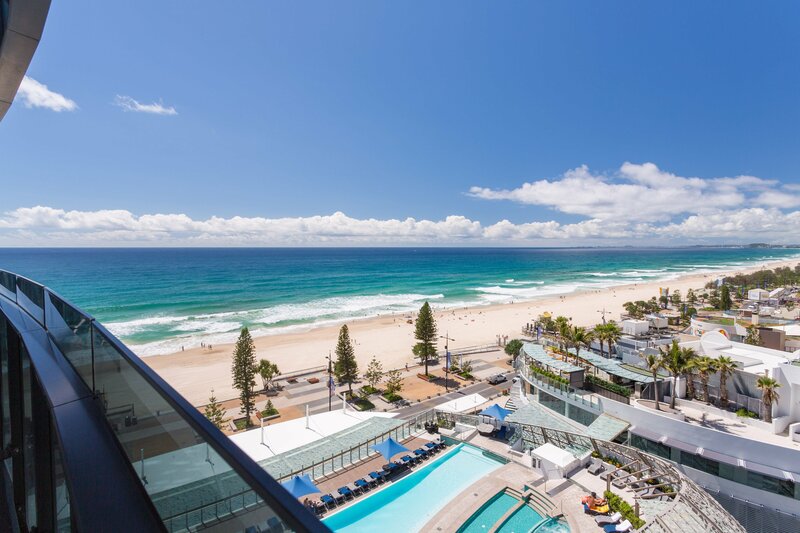 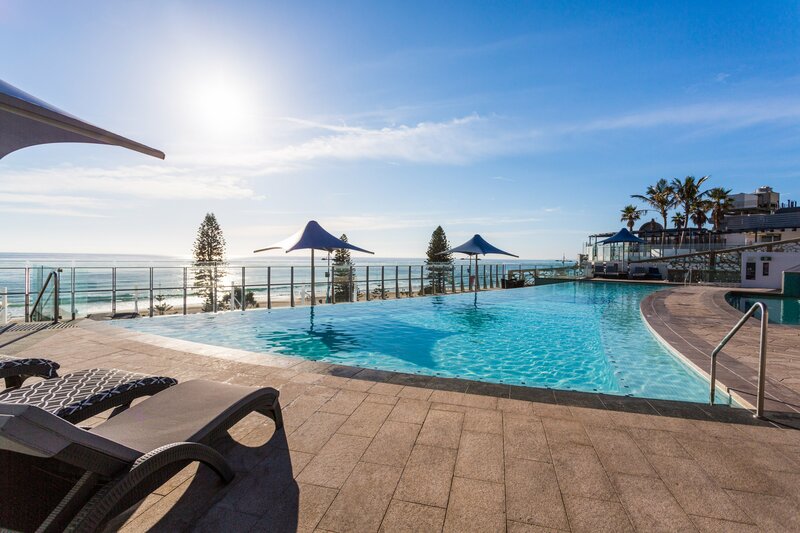 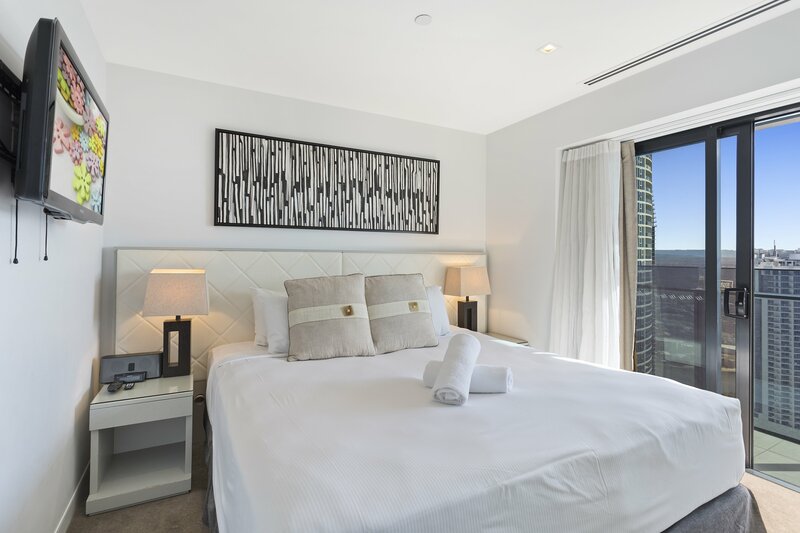 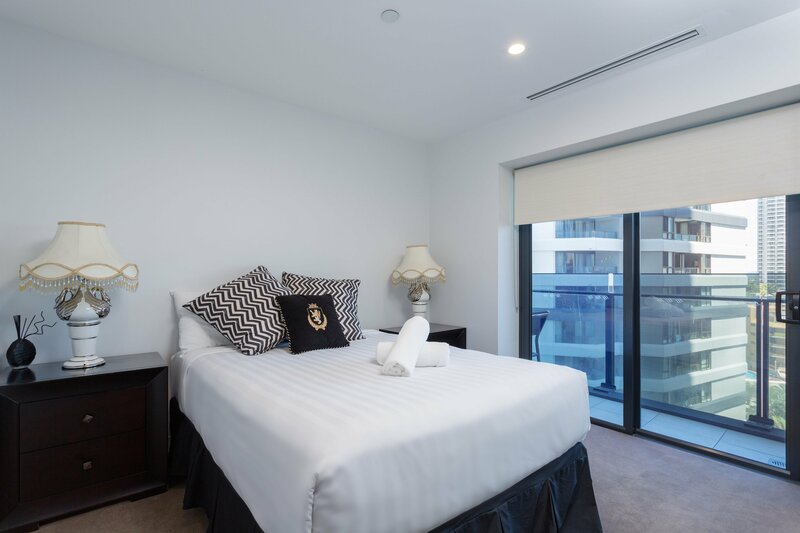 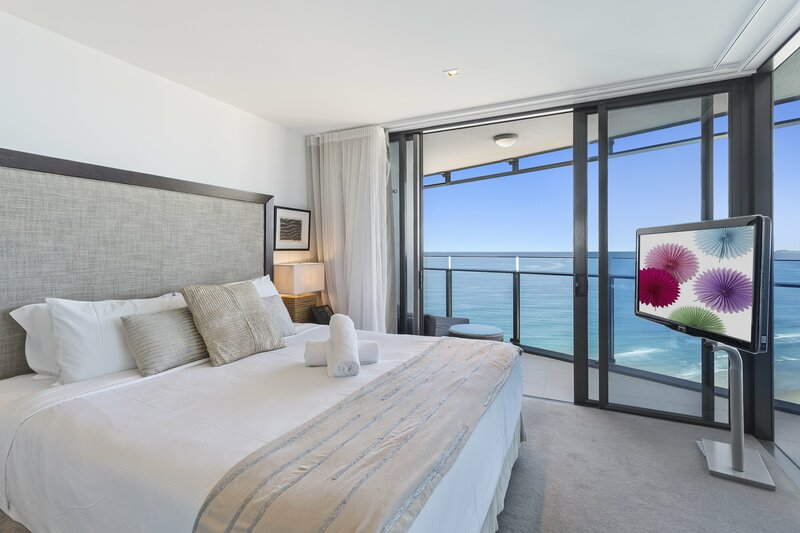 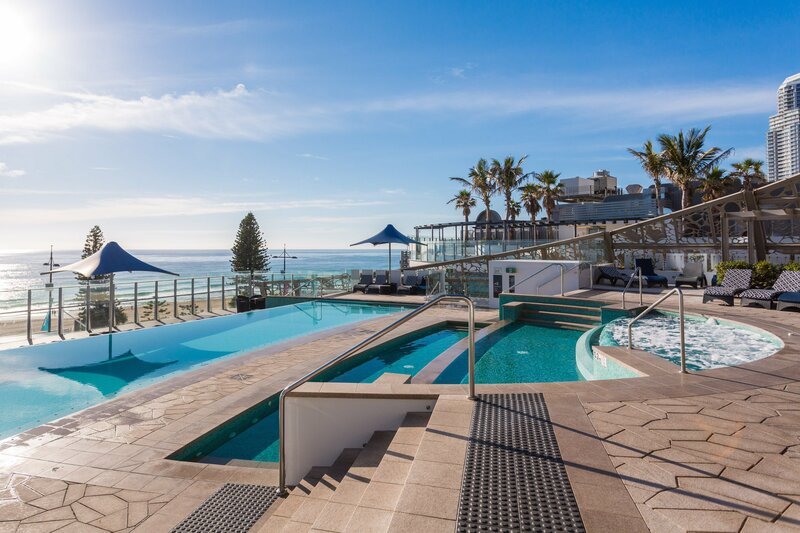 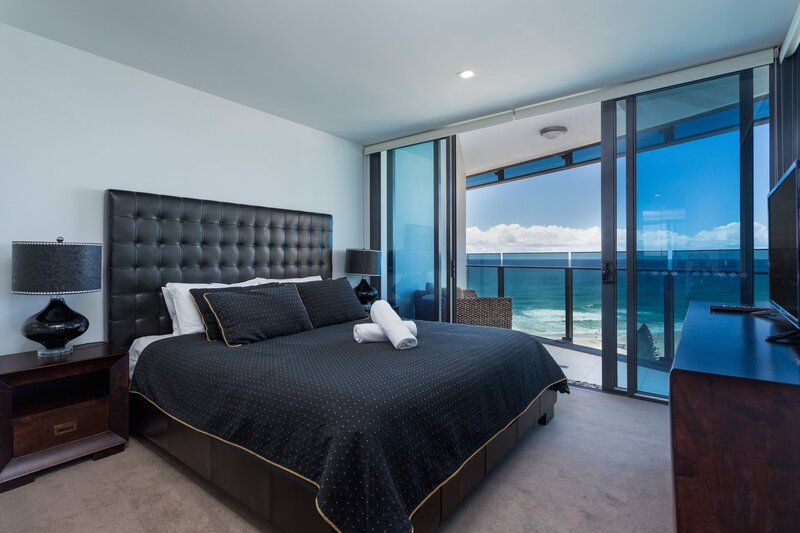 With luxury furnishings throughout and plenty of space, Soul Surfers Paradise is the perfect accommodation for families, friends or couples. 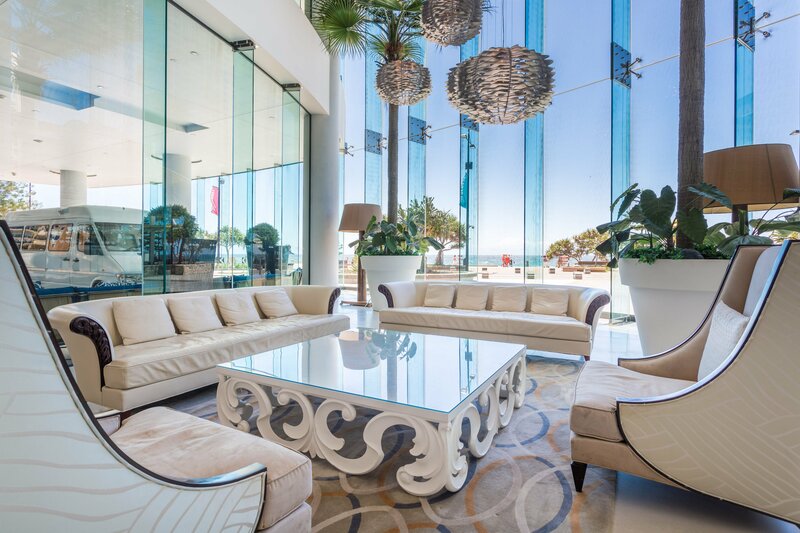 Check in outside of these hours can be arranged with our reception prior to arrival. 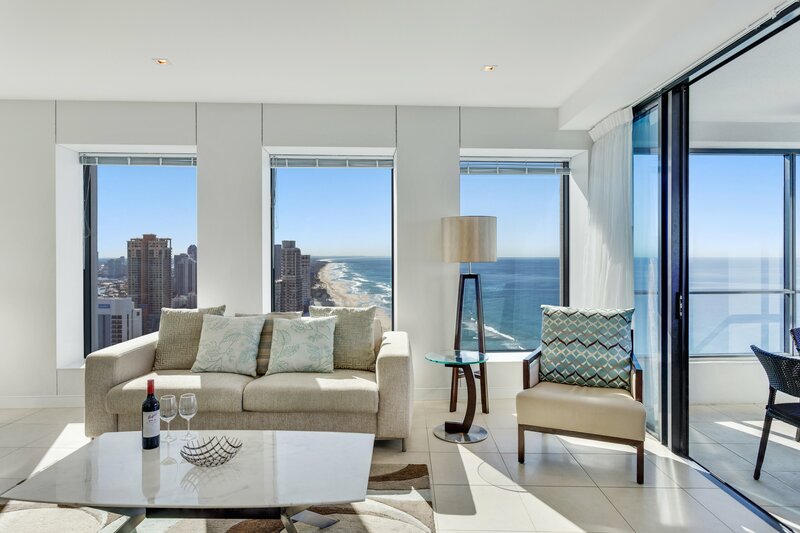 High floor, luxury apartment. 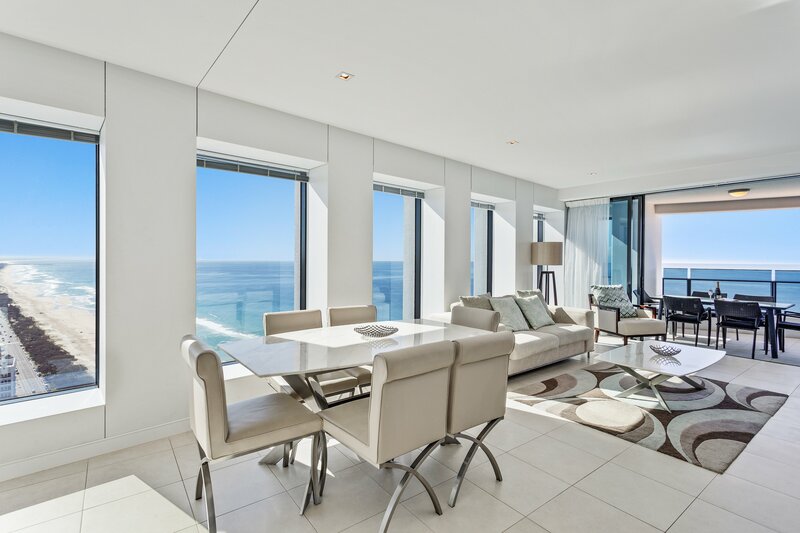 Extra large living and dining area. 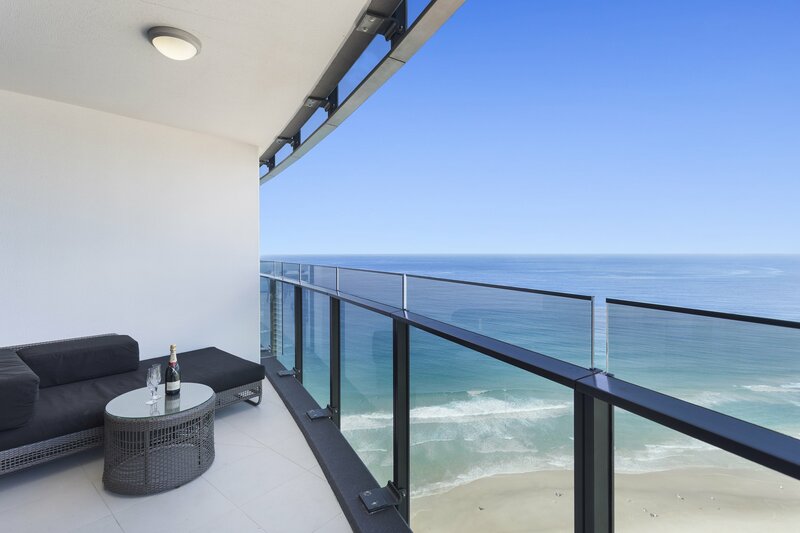 Beautiful ocean view. 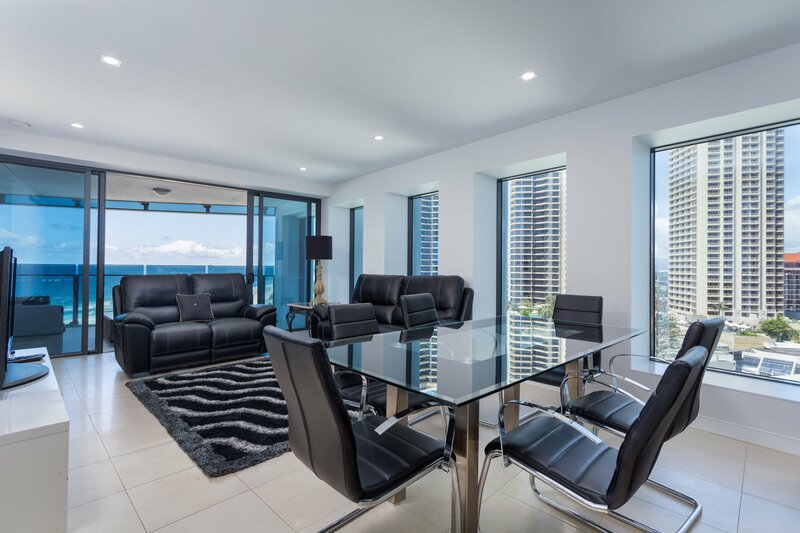 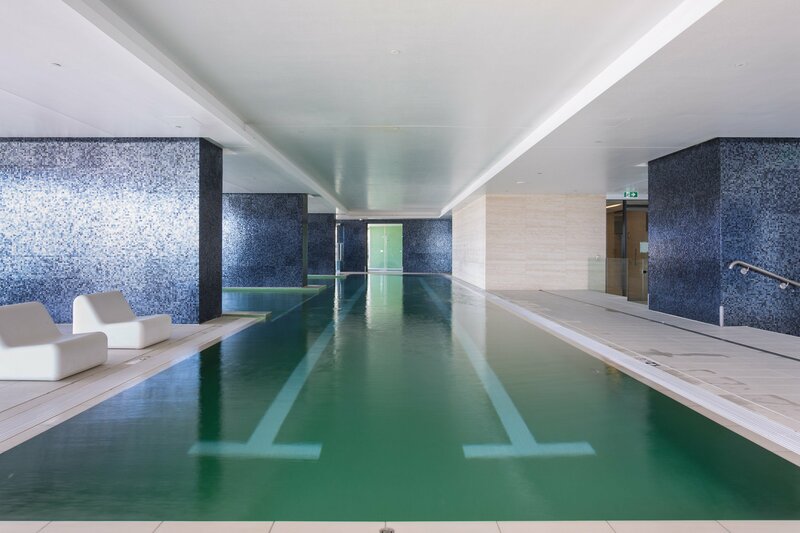 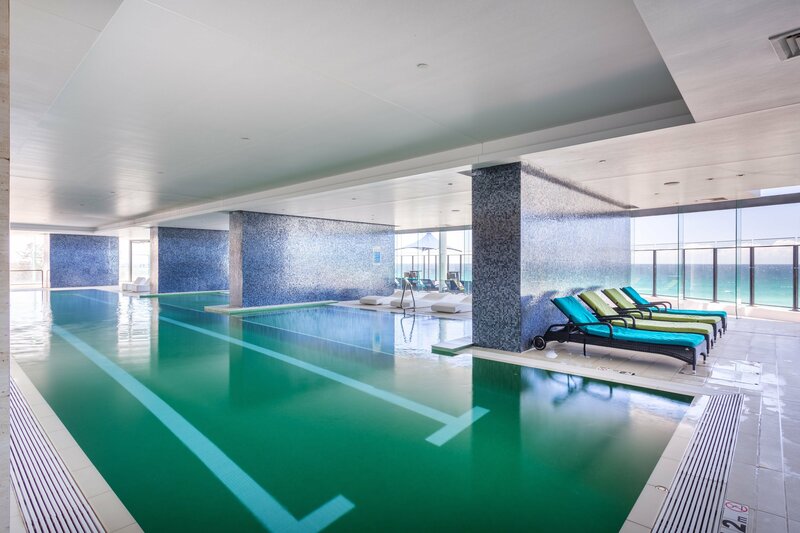 Ocean view, executive living, luxury apartment.